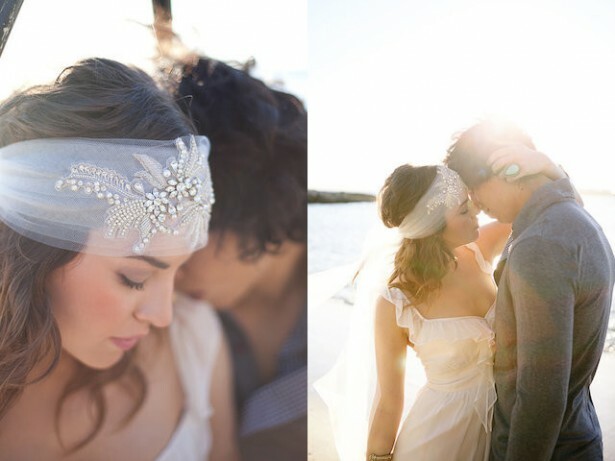 This beautiful bridal headpiece is handmade in Australia and features Swarovski crystals, pearls and faceted glass beads. It can be worn across the top of the head like a headband or across the forehead. $295 from Teeki.